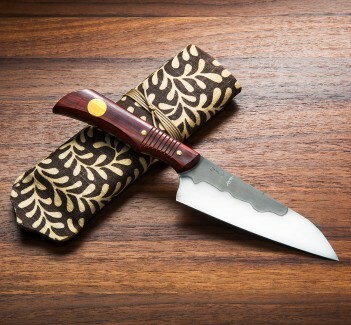 A rare setup from Cut Brooklyn: carbon steel and the classic Prospect 120 design. 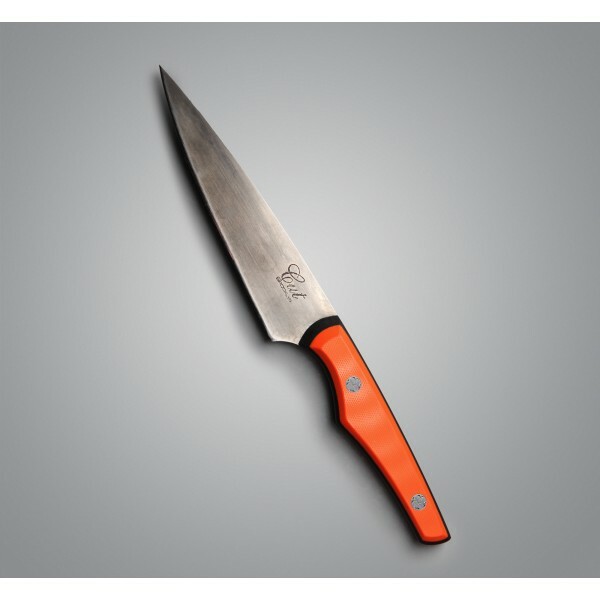 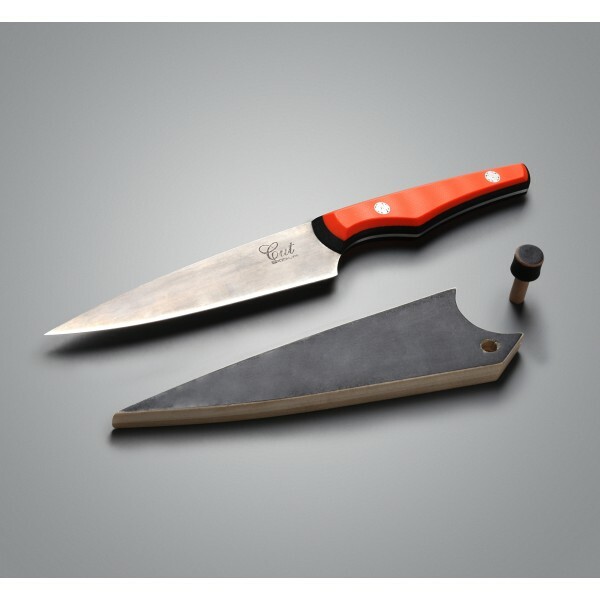 Along with orange scales over black liners, mosaic pins, and a custom made saya, all handcrafted right here in Brooklyn, this is a tool sure to get as much use in the kitchen as "oohs" and "aahs" from your guests. 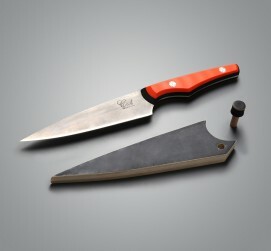 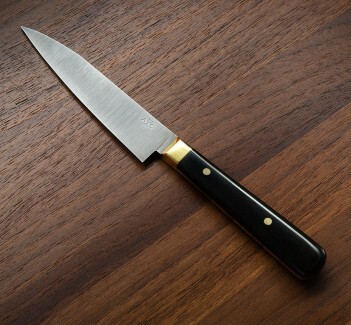 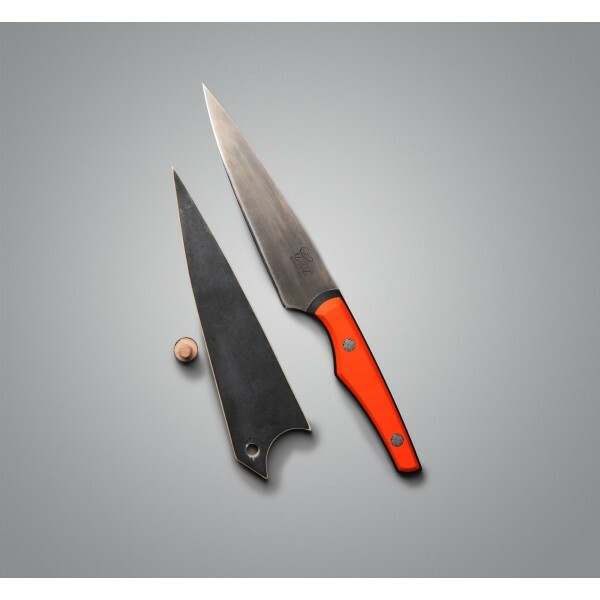 Joel of Cut Brooklyn makes kitchen tools that have been featured in the New York Times and beyond—and for good reason. 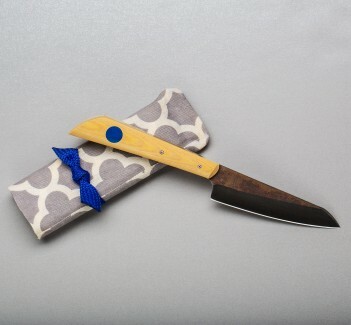 Focusing on a small selection of eye-catching and functional designs for which he has become well known, Joel produces each knife one by one in his 3rd Ave Brooklyn shop.